August 2015 - An Opportunity to Celebrate Life! Living It! – Join Us Sunday! All of you who follow my blog know that I have tremendous love and commitment to The Haven and the core programs there. Indeed, I turned my life around there, and still after thirty years continue to learn, grow, and get my beliefs and stories challenged and expanded by leading and taking programs at The Haven. However, as much as I love The Haven, it’s really not the place, the faculty, or all you folks who come to Haven that have been the reason my life is transformed. Sure, I love being there with you all, but the bottom-line is that it wasn’t five days of a Come Alive or various month long programs that made me different. No. It’s an on-going, never-ending commitment to Living It – that makes the difference. Learning is great. Places that support and create a wonderful environment for exploring and discovering are awesome. The Haven is certainly that place, but if you can’t take those lessons home or back to work, it’s just a wow! experience. Nothing wrong with wow! But for me, the test is how I live what I learn everyday! I often hear someone say in a program – “I can’t be like this back in the real world! !” I challenge that idea because really Haven is the “real world.” Still, I do understand that it is easier to try something new when you are outside of normal or familiar. 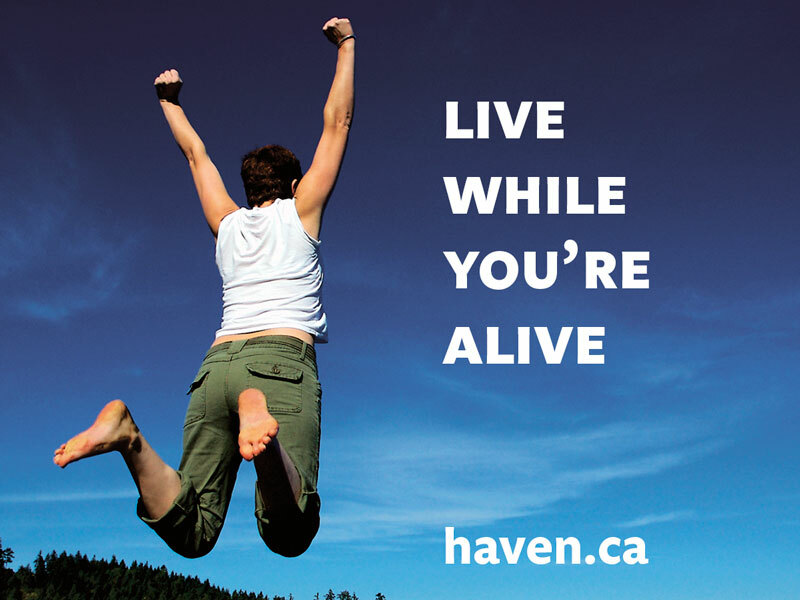 I would agree – The Haven and Gabriola are that for me. I think the real work does come when you get home. As I have often shared – fighting cancer was a hell of a lot easier than living beyond it! There was a charge, a fight, and an easy choice when I was dealing with cancer. When the fight stopped, it was harder to keep making choices for my own aliveness. There’s a risk and an edge to that type of living. Still, I do think it is what living is all about! So if you took a Come Alive or a Phase and you have struggled to Live It back in your ‘real world.’ Join Toby and myself to talk about that challenge. Sunday – August 23 at 1PM PT on a webinar. Register Now! You can also take the challenge of joining us for the new Living It Program starting Sept 10th. Whatever you decide I would love to hear from you. How do you Live it, meaning how to you take what you learn and apply to yourself, your life, your relationships or your work? Tell me. In this piece, I plan to be forceful, maybe even abrasive. According to one Fast Company Article, the act of me being forceful could cost me in the range of $15,000, simply because I am a woman. Really? You have got to be kidding! Yesterday morning I read two different Fast Company articles that created a burst of rage in me! One was about my reduced pay for being forceful. The other was even more bothersome. 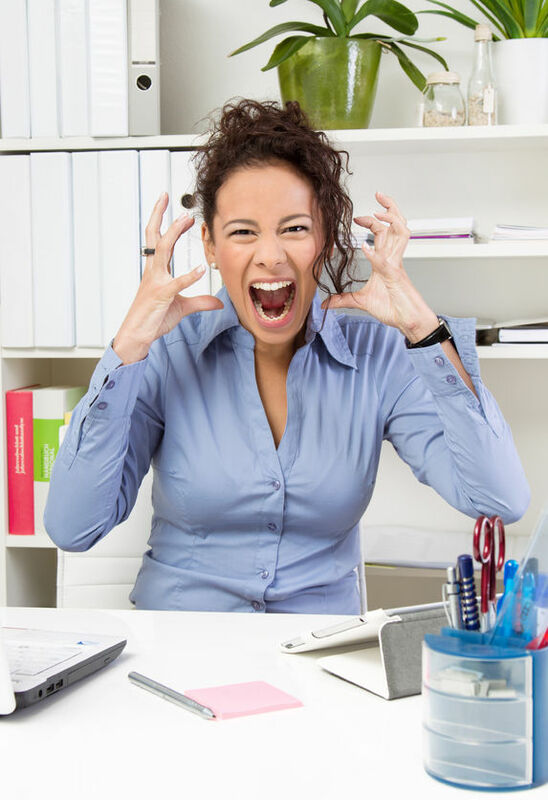 Studies show that the word abrasive only shows up in women’s performance reviews – not men’s. Men may get a mention of impatience but followed by –but aren’t we all? Fast Company, are you just trying to piss me off? It’s working. Yes, I admit women and men’s inequality has been a longstanding issue. I remember running smack dab into it when I was eleven. Myself and Laura, the other best player on our little league team, both got tossed off the team because we were girls. Really? We were the best players. You have got to be kidding. This time I paid no attention. I went ahead and won. Yes, it did ruin my chances of getting high school dates, but that wasn’t what I was really after anyway. So those types of comments have been around a long time. Frankly, it just makes me angry! Was that how I was suppose to start learning to be nice and polite? Or learn that I should not be forceful? Why is there such a double standard? I have no doubt that there are men out there angry that they have been told, not to cry, or be so sensitive. I feel for you. Though, I also know that women in business get that same feedback frequently. Still, it may even have cost you guys $15, 000 in pay as well. So I will show some empathy. What would it take to get over all of the crazy assumptions, stories, and stereotypes we use over and over? Pretending, or trying to pretend, that we don’t have these stereotypes is not working. Well, I do believe one thing: It will take a little forcefulness to change. Am I being abrasive? You probably think I am. Am I being angry? Yes, because I am angry. I think you should be as well. I would love to rage loud enough for people to hear. We cannot keep stereotyping and classifying genders, races, and cultures and pretend we are a country of equality. Truthfully, though, we will. Pretending we won’t, isn’t a viable solution. We are ALL prejudice in some way. Our only path through it is to own up to it and talk about it. It takes courage to own up to my storytelling and share it. It takes vulnerability and curiosity to deal with our differences together. Right now, I am angry at men. Of course, it isn’t all men, and it isn’t great that I bundle them all together. But I do in moments like this. So I am owning up to my story, and don’t want to stay here, I want to get curious. Why doesn’t the word abrasive show up on a man’s performance review? Why shouldn’t women leaders be forceful? Susan Clarke is a Speaker, Consultant, and Coach at thrive! inc. Clients refer to Susan, and her partner CrisMarie, as “The Team Doctors” because they focus on the health of the team in order to get the team to smart business results. They just released their TEDx Talk: Conflict – Use It! Don’t Defuse It! Contact Susan at thrive@thriveinc.com.